A jewel of France’s cultural heritage, the prestigious Musée Rodin in Paris hosted a sensational Charity Gala Dinner organised by Longines to honour two tennis legends it has been closely involved with for a decade, its Ambassadors of Elegance Stefanie Graf and Andre Agassi. 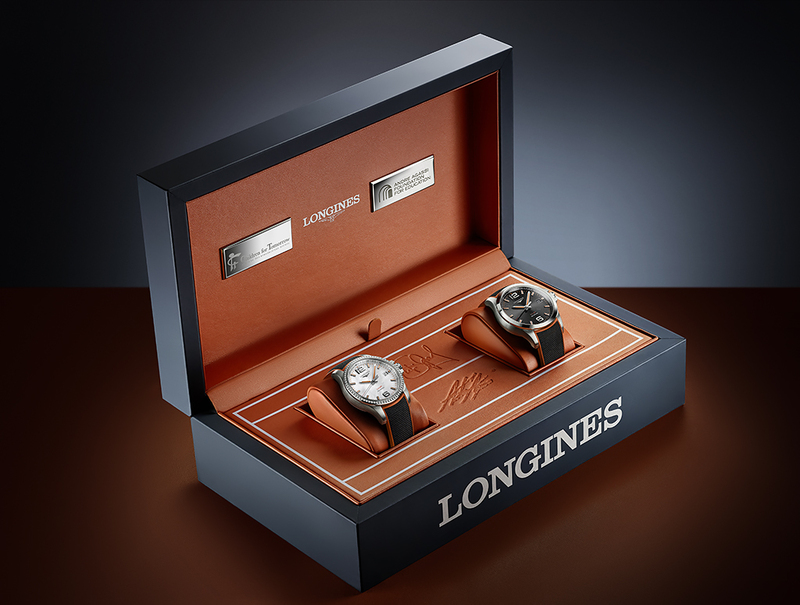 To mark this anniversary, Longines created a special watch, numbered and limited to 10 pieces for the men’s version and 10 pieces for the ladies’ version: the “Conquest V.H.P. 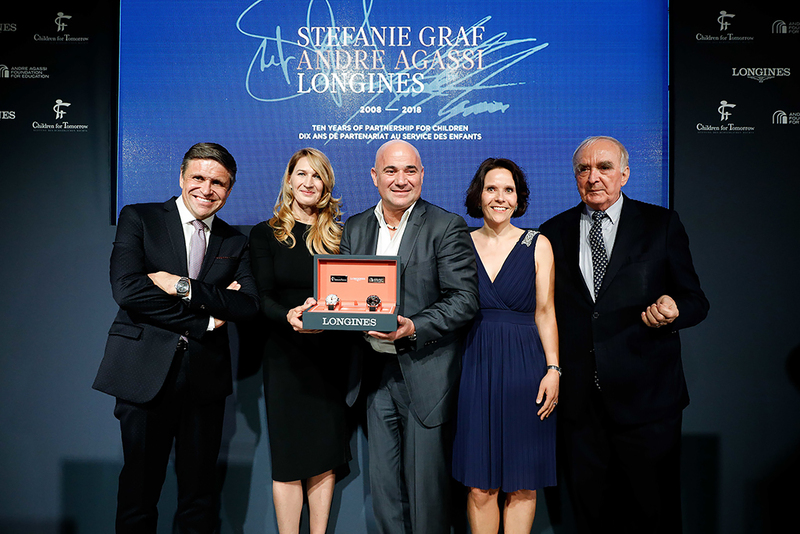 Stefanie Graf & Andre Agassi Foundations”. As part of the Conquest V.H.P. “Very High Precision” collection, these exceptional timepieces are also an emblem of generosity, as they will be auctioned with all proceeds going to Children for Tomorrow and The Andre Agassi Foundation for Education, two charities founded by the Ambassadors of Elegance. Representing a new achievement in the field of quartz, the Conquest V.H.P. “Very High Precision” combines great precision, high technicality and a sporty look, marked by the brand’s unique elegance. The models in this line are driven by a movement developed exclusively for Longines, which stands out from other analogue watches by its extreme accuracy (± 5 seconds/year) and its ability to reset its hands after an impact or exposure to a magnetic field. Alongside these benefits, it also offers extended battery life and a perpetual calendar. The men’s version of the “Conquest V.H.P. Stefanie Graf & Andre Agassi Foundations” features a black dial, while the ladies’ model displays a white mother-of-pearl dial and a case set with 70 diamonds. 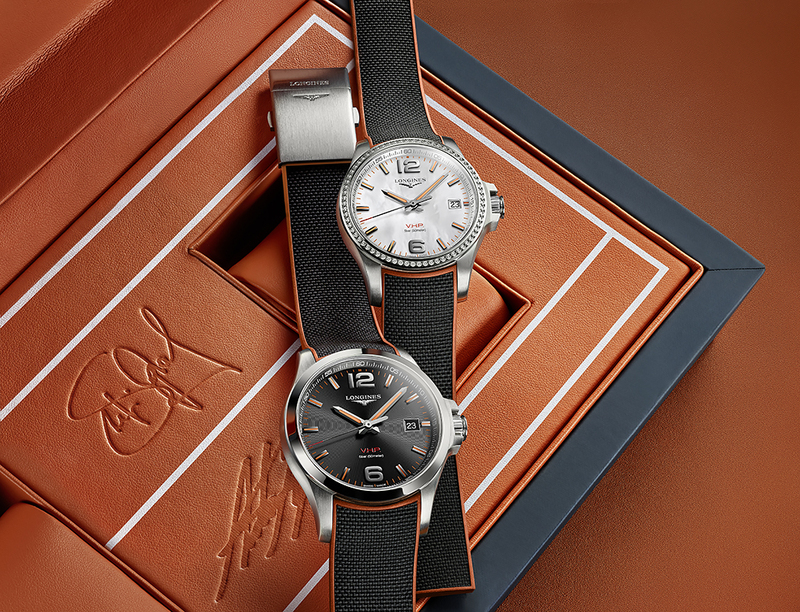 In tribute to the Roland Garros tournament, of which Longines is an Official Partner, both versions feature touches of orange on their hands, indexes and the rubber strap, as a nod to the iconic Parisian clay courts. 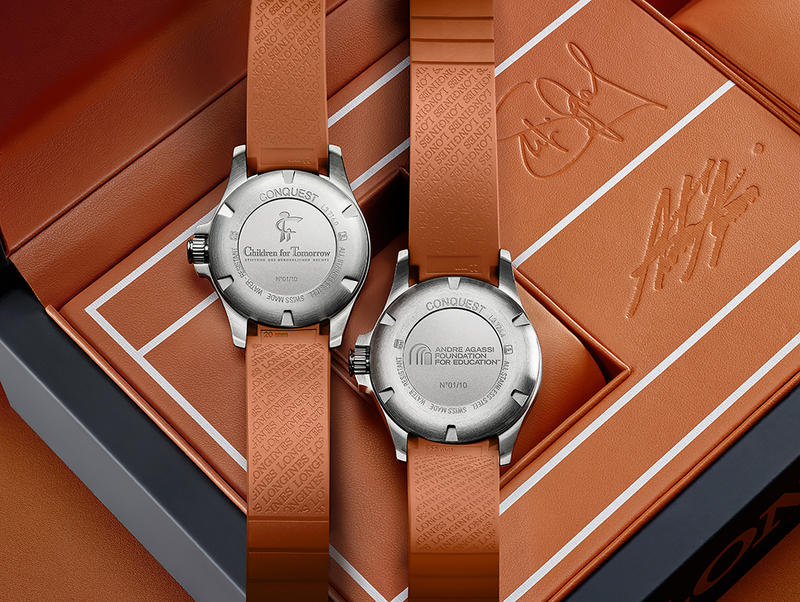 Both models bear an engraved logo on the case back, The Andre Agassi Foundation for Education on the men’s version and Children for Tomorrow on the ladies’. Finally, a special box, also featuring the Roland Garros colours, encases these two exceptional timepieces, numbered from 1 to 10.